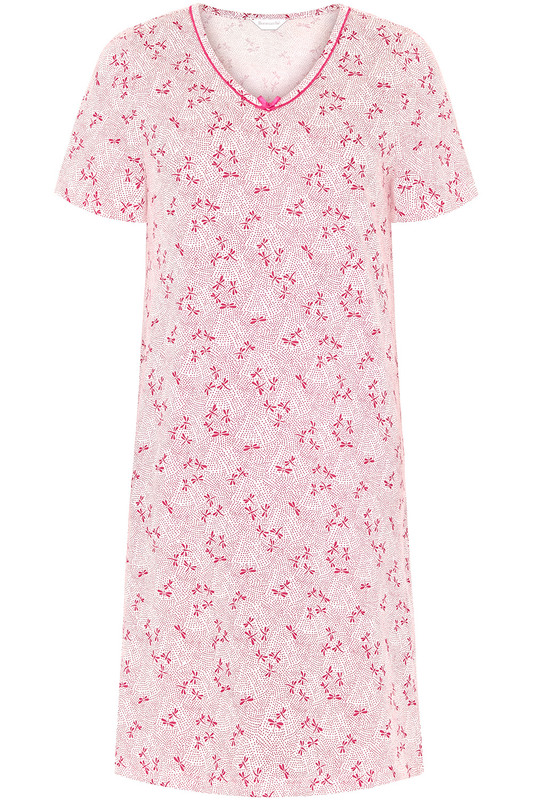 Refresh your pyjama collection with this comfortable short-sleeved nightdress, made from pure cotton. Bright pink spots stand out against the white background, and we have added dragonflies into the print for a playful finish, as well as a cute bow detail at the neck. 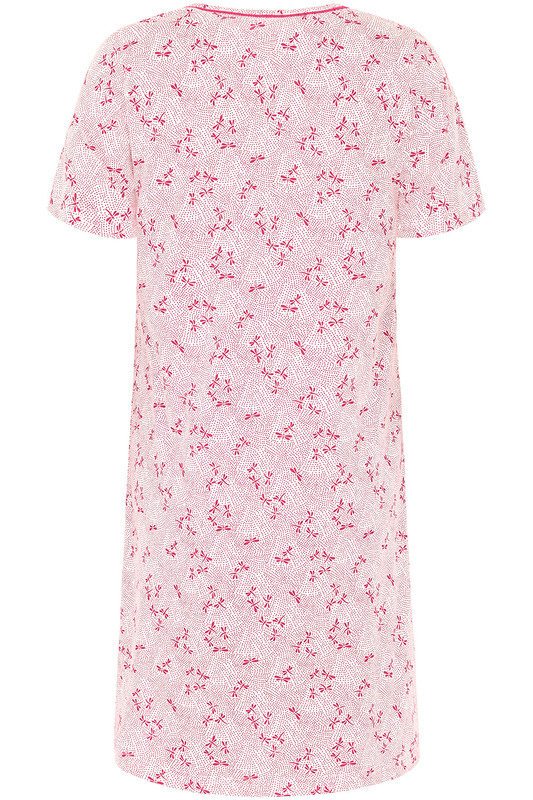 It has a V neck and a comfortable loose fit, perfect for evenings spent lounging on the sofa.